Faith and Fancy : Hello June! Welcome back June! I think it is safe to say we are all extremely excited to see you (and summer) again! 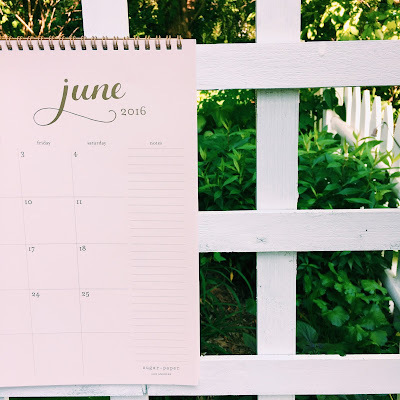 Although I have been out of grammar/high school for quite a few years now, the arrival of June will forever remind me of the end of the school year and the start of summer. Thinking about all of the things that come along with with start of summer makes me just as excited now as it did when I was younger. There are lots of sunny days, ice cream cones, outdoor concerts, new bathing suits, thunderstorms, barbecues, warm hazy nights, and beach days ahead. Ahh, just thinking about it makes my heart happy. Hope you all are just as excited as I am! Cannot wait to see all that summer has in store for us. Enjoy! Gin & Tonic Upgrades! // I don't know about you guys but I love a good gin & tonic. I love the simplicity of the drink and there is just something so refreshing about sipping it especially in the warmer summer months. I know gin isn't for everyone, but if it is be sure to check out these ways to step up your G&T game! 25 Things About Life // Does anyone ever wish they could go back a few years and tell their younger self what they know now? While this is unfortunately not possible nor helpful, as we can't change the past, what is helpful is taking the advice of those with a few years on us and, believe it or not, a hell of a lot more wisdom. There is nothing wrong with learning from those who have come before us. I say take advantage of it as much as possible! Adult Pool Party // With the start of summer comes the start of pool parties! Growing up with a pool and parents who love to entertain, I have been part of many summer parties by the pool. It's no surprise that the love hostess & entertain rubbed off on me. Whether you have a pool or not, these fun tips will ensure you throw a great summer bash! "She made a great effort to balance all the wild and wonderful things that make up life."